Nearly all of our kids are back in school or will be very soon. That means Beach Club is about to start, too. 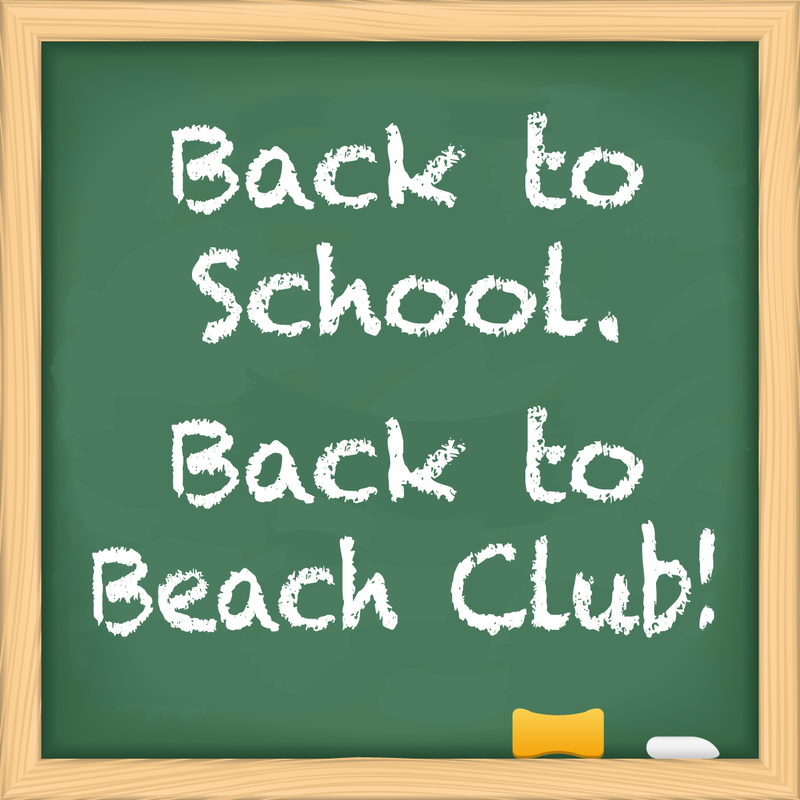 Be sure to contact your child’s school or the sponsoring church to find out when your child’s Beach Club will meet for the first time this fall. You will again need to fill out a permission slip in order for your child to attend. We encourage you to pray for your children as they start a new school year. Pray that your children show love, compassion and respect and for them to be a light to others. Ask God to surround them with friends and teachers who will be good influences in their lives and be supportive and encouraging. As for God’s protection and to keep them free from evil. While you’re praying for your children, remember to say a prayer for all educators and our Beach Club volunteers. Take the time to thank God for their dedication and ask for them to have a positive impact on your children. Ask the Lord to give them an extra-special blessing with the start of school.